“Restoration.” What do you think when you hear that word? For myself, I imagine in my minds’ eye a beautiful antique that has weathered and aged from the environmental stresses then restored because someone actually cared to recapture its essence and beauty. Restorative yoga, to me; is much like this. Classical Restorative, that is. Our nervous system is stressed from the environment, the fast past culture. I never knew how much my inner body needed Restorative yoga! Last week I fully embodied restorative yoga every single day. My nervous system reset and there was an inner clarity and wisdom that I found was always there — I never really listened. Restorative yoga is an advanced teaching. That’s what my teacher Tianne Allan from Semperviva Yoga College said. I would have to agree. There are so many subtle details, a presence you need to teach. The practice itself is such a wonderful teacher. Some folks will push this type of yoga aside because they need to feel something. For example, sweating. While this would be wonderful for a more physical practice there also needs to be an inner caring of the nervous system. Once you discover Restorative yoga –it so profound. I’m so grateful I was able to learn from Tianne this past week. I invite you to try Restorative Yoga wherever you are. Become unattached to physical. Go inward, deeply. The practice is very insightful, thoughtful and profound. I am looking forward to offering this soon, be sure to check my schedule and workshops. Until then, try taking 5 minutes of you day in a quiet room, dark with the room temperature “just right” in a supported comfortable pose and just sit with yourself and your thoughts. You’d be surprised how much 5 minutes can reset your day. Deep gratitude to my Restorative yoga teacher Tianne Allan for all her beautiful work. Om shanti. 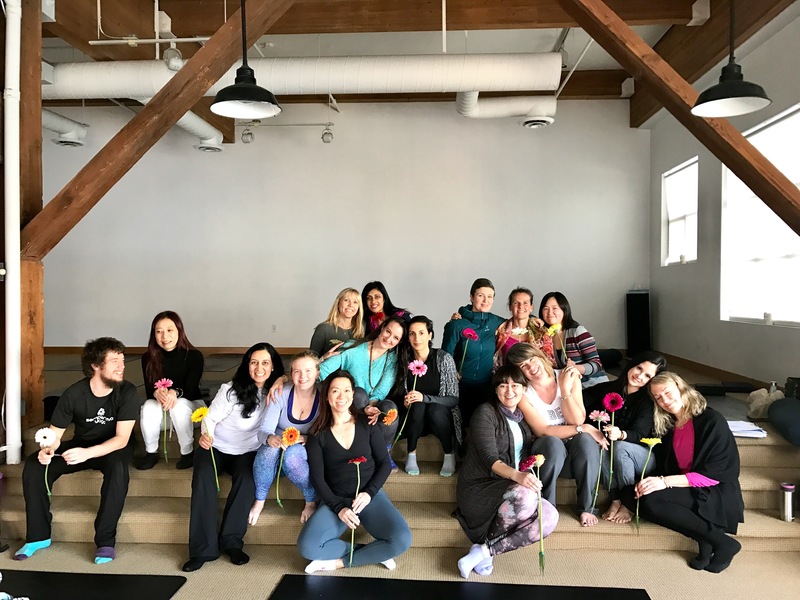 ← Go Yin-side: Yin Yoga & Acupressure Workshop!